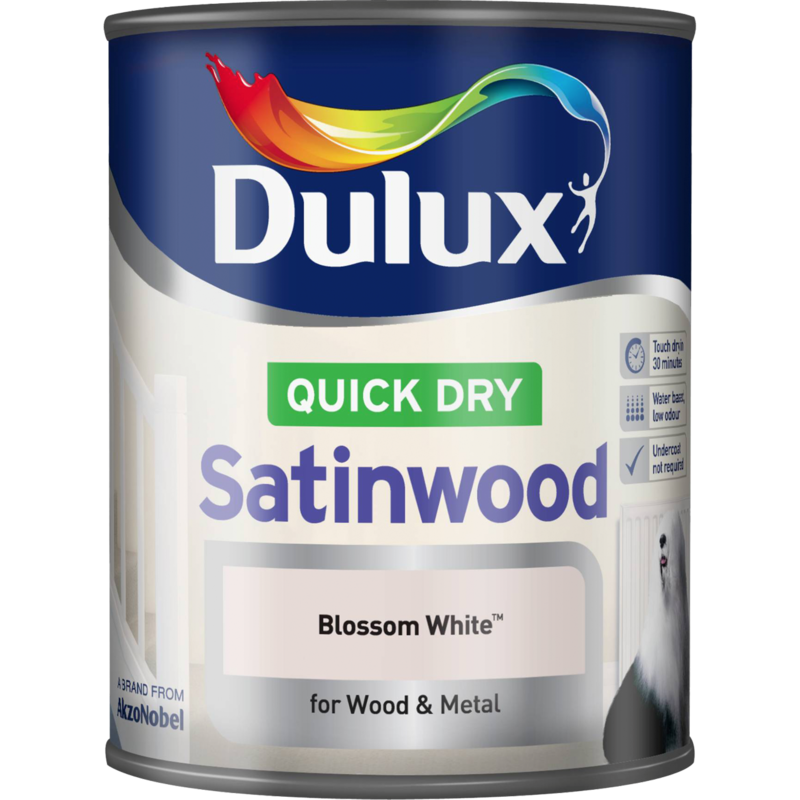 Dulux Quick Dry Satinwood creates a mid-sheen satin finish, providing a subtle, attractive alternative to gloss. It is self-undercoating, wipeable, non-yellowing and suitable for use on interior wood and metal. Thanks to its Quick Dry, low odour formulation, it's both convenient and pleasant to use. Leave 6 hours to dry. Newly painted doors and windows should not be closed and radiators should not be heated until paint is fully dry. Apply 2 coats with a brush, leave at least 6 hours between coats, longer when cold and damp. TIP: if the colour change is strong, more coats may be required.